Whatever path you've followed, and however many stops along the way you have had to make, UNLV is here to welcome you to Rebel Nation. The road to a college degree isn’t always a straight line from start to graduation. 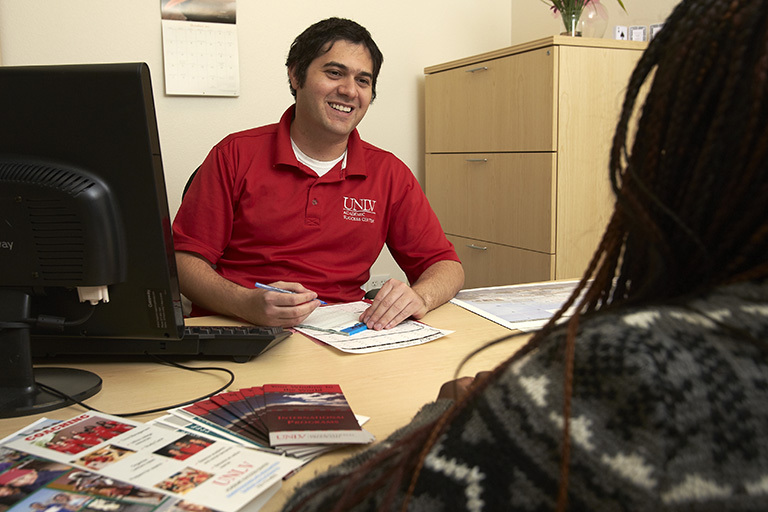 UNLV is dedicated to providing guidance, support, and resources to enhance the educational experience from orientation to graduation, and that is especially true for students who may identify as non-traditional. 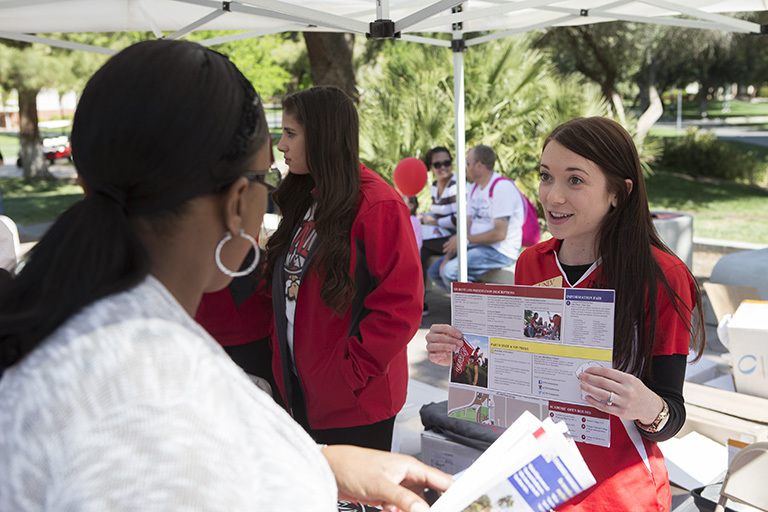 UNLV strives to foster an environment of scholarship and service, where students feel that they belong to a community, no matter the path that led you to becoming a Rebel. You do not feel you fit in with the traditional undergraduate student body. The nontraditional student worked as a flight attendant and juggled motherhood as she discovered her path to becoming a storyteller. The nontraditional student signed up for college classes to prove a point to his kids and is now graduating alongside them at winter commencement.